I've said it before but I'll say it again. 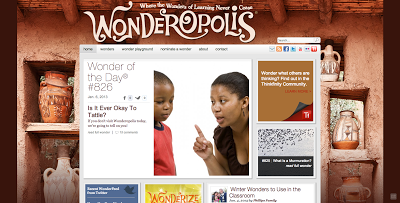 I <3 Wonderopolis. The website and the free app, both (though the app doesn't work through our school filter :( and the website does! How's that for strange?). This is just a recap of some stuff I've posted before. If you saw it then ... thanks! You've been reading for a while and I really appreciate it. If it's new to you ... thank you so for stopping by! Please come back. 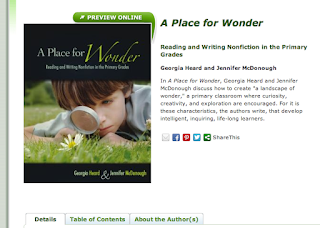 THIS post offers some shelf signs (for the library) directing kids to the right Dewey area if they have a particular wonder. I would totally LOVE to make some more. Anyone got a request? 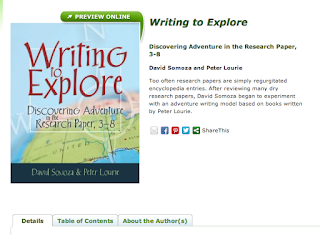 And this is the book that got me really thinking more about how to get the kids CURIOUS. I mean, sometimes they ask the funniest questions in the middle of a totally different discussion. And then other times they just sit and look at you like "What do you want us to do/think?" We want THEM wondering and us not coming up with all of the questions. Somewhere in the middle. They explain things much better. And this was another one that inspired me for my older students. Loved it. And PS If you thought I was talking about the other Wonder when you saw the post title ... I LOVE THAT BOOK, TOO. For ... oh, let's say read aloud to third through sixth, read independently in fourth and fifth. Such a great book to teach empathy and caring/accepting others. I believe the tagline is "Choose Kind"? If you teach younger kids I would suggest The One and Only Ivan. Similar topics and more age appropriate. Oh wow! That website looks perfect for some of my higher level students! And I agree, they sure ask some unique questions! :) Thanks for sharing!